How many times have you been in a cool boutique, picked up a seemingly simple ceramic bowl, and then been shocked at the price? Like, it's just a bowl, right? It can't be that difficult to make cool stuff. 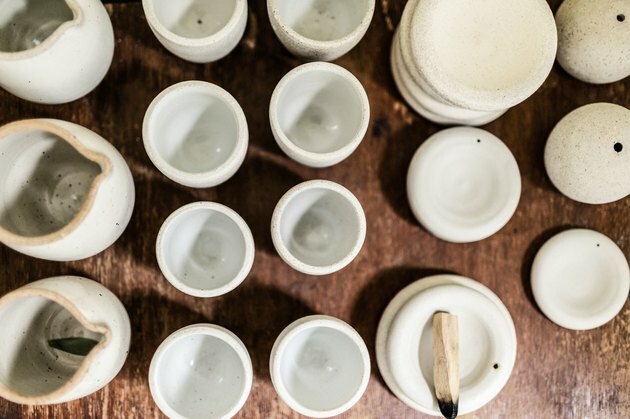 For those of you with dreams of launching your Insta-worthy side hustle selling wheel-thrown mugs or clay trinkets — or just those who are curious as to why, exactly, you're paying way more for a handmade dinner set — we sat down with L.A.-based ceramicist and ceramic arts instructor Kelley Burnett to get a bit of insight on the process and industry. "The most common thing I hear in my classes is people saying that they had no idea how difficult ceramics is, or how much practice and how long it takes," Burnett says. "I totally get it when students come in excited to make an entire dinner set, but in a month-long class, it's just more realistic to use the duration to get a few bowls through the process because, yes, it's about developing the skill, but it's also about the time." For independent artists, time is definitely a consideration in how they are pricing their goods — there's of course the investment the artist has already made with their years of training, but, Burnett says, "It can sometimes take weeks just to complete one piece. Someone may be able to throw or mold a piece in a few minutes, but then there's the trimming, finishing, and firing." And, Burnett adds, keep in mind that, "most ceramicists are a one-person show. They're making the items, stocking, sending orders, emailing, and doing all the marketing themselves." And while clay might be inexpensive, the equipment isn't. "Some potters, like myself, work from a community studio, and while that might be more affordable, the studio costs still factor in and it can slow down your process [the kiln may operate on a set schedule]." For those who don't work in a shared space, the initial investment to go solo can be pricey: High-fire gas production kilns can cost as much as $10,000 and new wheels can set you back as much as $1,500 — dang. (But, Burnett says, budding potters wanting a home studio shouldn't be too discouraged; there are cheaper equipment options, but you'd still probably require at least a few thousand in upstart and outfitting costs.) There's also loss to factor in, which is a built-in bummer — you may have your heart set on making a dozen perfect mugs, but inevitably one cracks or the glaze gets messed up on another. Then comes trying to get your goods into the market (keep in mind that you're paying retail, so the artist is only making profit on the much lower wholesale price), which Burnett says is extremely saturated and competitive. 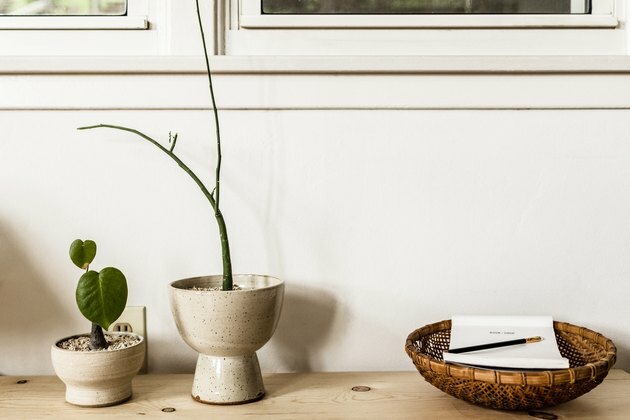 You need to figure out what makes your pottery appealing and be able to keep up with demand: "Being able to make one thing is great, but being able to produce it in quantity, consistently, is also a challenge for many (especially when things can be ripped off by large stores almost overnight)." Geez. That all sounds mighty challenging. So, we definitely understand that what you're paying for isn't just about the function — it's about the art and process that went into it. That still leaves us with the issue of being completely in love with ceramics, but not having the bank account to support it. 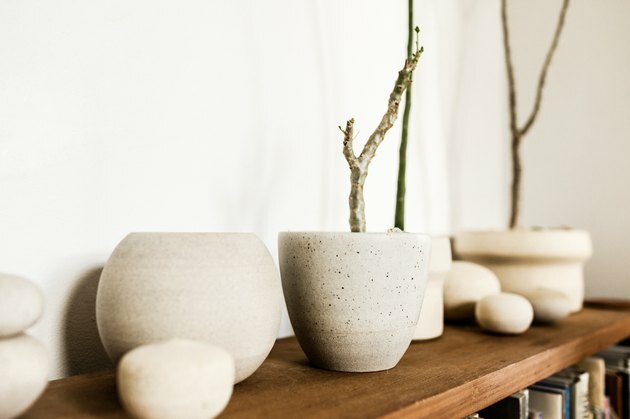 Burnett advises acquiring a collection over time: "Ultimately, my suggestion to people who are shopping for handmade ceramics is to only go for the pieces that really speak to you, that have a certain quality you can really appreciate and fall in love with. If you can grow your collection slowly, you'll appreciate it more, and you'll be a continued support to real people and businesses, and ultimately probably end up spending less than if you were to keep purchasing larger quantities of mass-produced goods."